One of J’s great pleasures these days is berry picking. Yumma. Our yield inspired Cute W to make his Good Fruit Pie Stuff. Which is delicious. Why, yes. It’s berry-picking season. 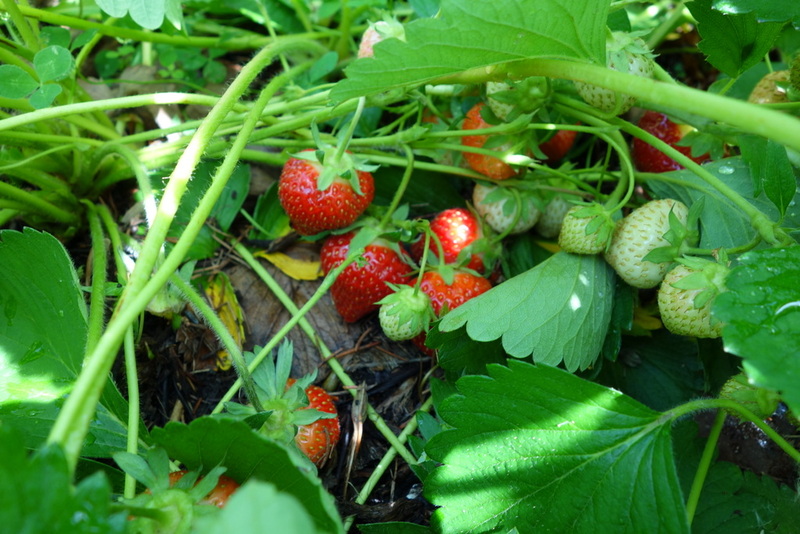 If you want to go, here’s the KidsOutAndAbout list of Summer Fruit Picking in New York’s Capital District: Strawberries, Cherries, Berries, and more! and here are my 10 Tips for Berry Picking With Kids. Meanwhile, J’s creative pursuits could bankrupt me if I don’t watch out. Back when she working on her entrepreneurial project, which involved making a bunch of clothes pin dolls to sell, one of the characters was an army guy wearing camo and sporting a parachute. 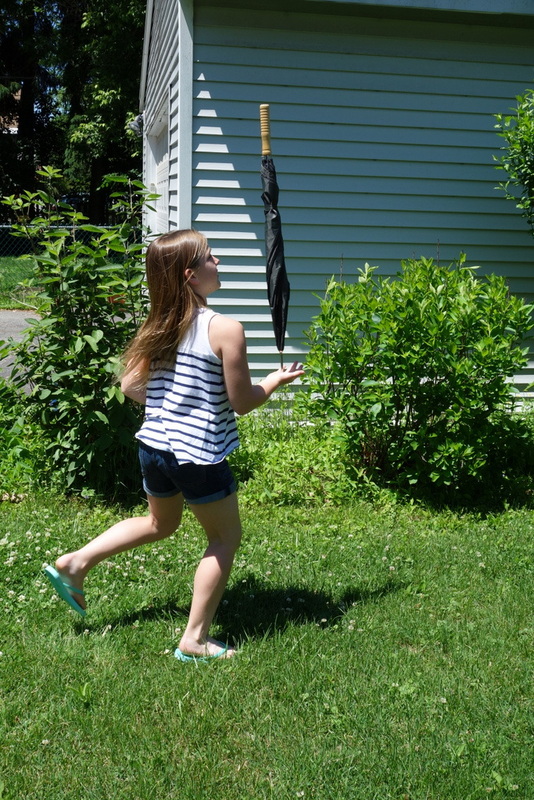 When it was time to make the parachute, J bypassed the massive pile of vaguely khaki-colored Hannaford bags and some bright green newspaper delivery bags and went straight for the recycled plastic bags. The ones I just use as wastebasket liners and leave in there unless there’s something super-gross, because even though they are trash bags, they’re too expensive to just throw away. I swear, it’s an uncanny sixth sense that she has. A couple of weeks ago, I came across an unauthorized craft-in-progress that J was working on in the kitchen. “It’s a birdfeeder,” she explained, happy and proud. I checked out what these lucky birds would be eating: organic hemp seed, organic flax seed, sesame seeds, all stuck together with almond butter. . . . ummm, no. My friend Ms. Google suggested that oatmeal would work just fine, thank you very much. If those birds want fine dining, they’ll have to check somebody else’s backyard. 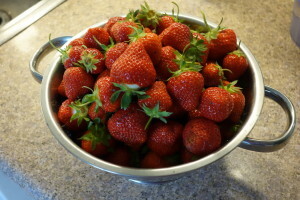 Unless they like strawberries. Then they’re all set. We are finally, finally winding down with school. 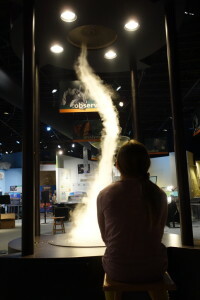 In fact, on Friday morning I let J play hooky with me to visit miSci’s new exhibit, “Earth Exposed: Discover Our Planet’s Hidden Secrets.” She was mesmerized by the tornado. I highly recommend going for a visit. 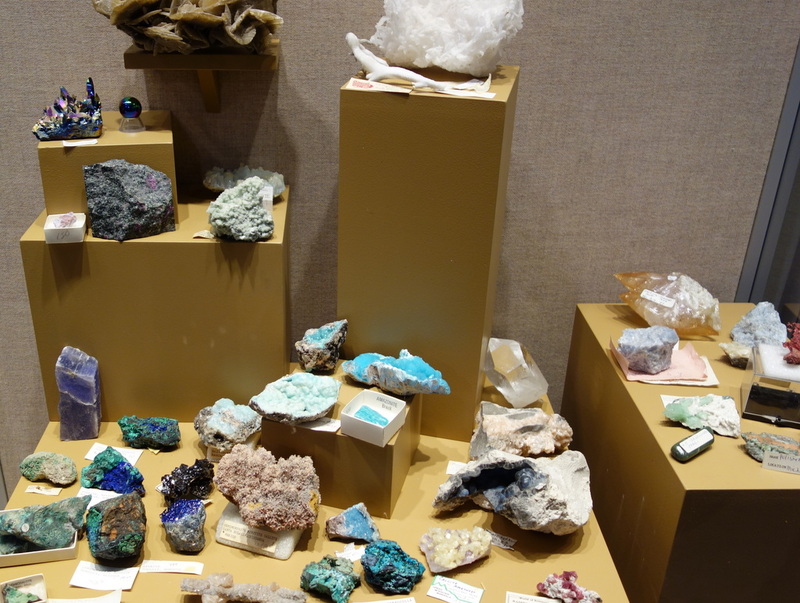 You can read my complete Review of “EARTH EXPOSED: Discover Our Planet’s Hidden Secrets” at miSci over on KidsOutAndAbout. Tuesday is the girls’ last day of school. Hooray! We’ll be continuing the tradition of having a few of J’s friends over right after school. I’m getting them completely conditioned to come over to our house after school, and I have high hopes that our house will be the hangout when she hits middle school. Sure, M never wants to invite anybody over, but by golly, it’s going to be a whole different story with J and her little crowd (I hope). I’m excited for the girls to have some serious free time. 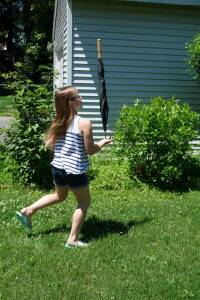 To do the important stuff, like practicing the balance-an-umbrella-on-your-palm trick.